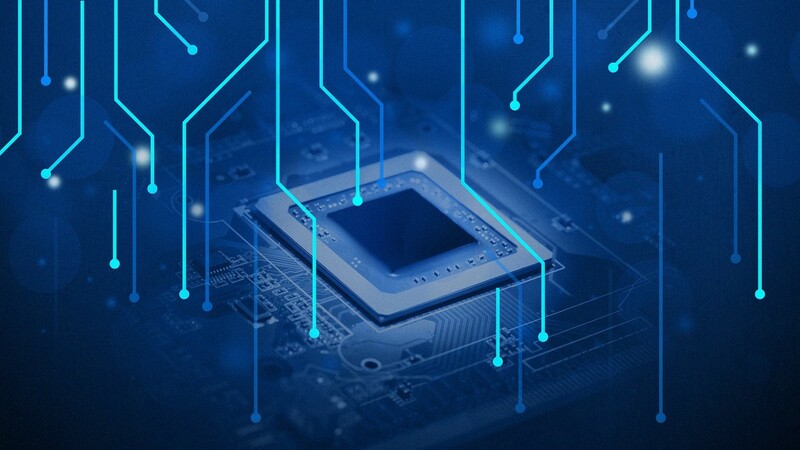 In a recent article, we have introduced the Skynet project, a global and scalable end-to-end solution for interconnected IoT devices. The project not only consists of a high transaction throughput and secure blockchain communication infrastructure but also includes a specialized blockchain on chip hardware solution. The BoC provides both blockchain-ready components and artificial intelligence (AI) acceleration. To this end, the chip contains a cold-storage cryptocurrency wallet, hash acceleration, and automatic transaction signing hardware. In this current article, we will discuss the disruptive nature of Skynet, and which measures are put in place to ease adoption. Today, most chips used in connected devices are based on ARM designs. ARM’s market dominance has been due to excellent battery life with good performance, whilst being ahead of the competition continuously in recent years. The company’s market share is estimated to be 94 % in the smartphone segment alone, and these days, it is very hard to find a system on a chip design without an ARM core. Because of this monopoly, ARM is in a position to charge between 1 and 10 million USD upfront for ARM-based chip licensing. They also earn between 1 and 2 % in royalties on every chip sold. It is only recently that alternatives have become available. In the same way, open source software has managed to break up software monopolies, the RISC-V foundation promotes a free and open instruction set architecture for processor cores. RISC-V can be used as a license-free basis for modern system on a chip designs. Skynet, with over 15 patent-pending innovations, plans to leverage and add its IP to this alternative in order to provide a license-free blockchain- and AI-ready chip solution. Skynet Core aims to replace existing processor cores to provide a fully integrated solution for tomorrow’s machine-to-machine (M2M) economy. On-chip hardware crypto-currency hardware wallets will allow devices to participate in M2M micropayments and facilitate seamless blockchain integration in the safest possible way. Hardware acceleration for key cryptographic algorithms allows for efficient blockchain integration. This revolutionary design is similar to the way Graphics Processing Units have made computer games and other graphics-intensive applications possible in recent years. The ability to automatically sign transactions provides built-in device identity and data integrity guarantees. 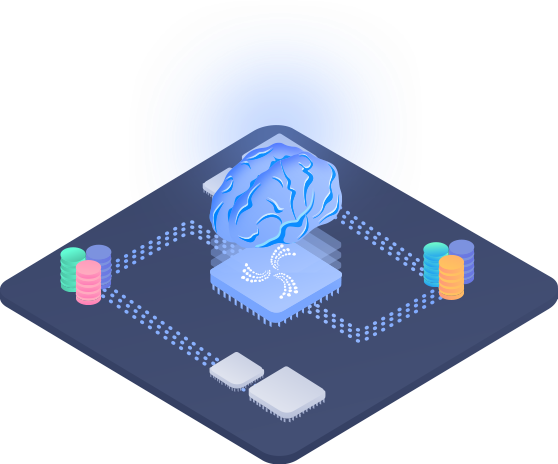 AI-specific modules, such as on-chip tensor processor arrays allow deep learning applications, including on-chip training, previously unheard of in embedded devices. The combination of the license-free core design with the bundled modules aimed at seamless end-to-end integration should position Skynet Core as a real alternative for IoT device integrators. The Skynet Core blockchain chip will not stand on its own. 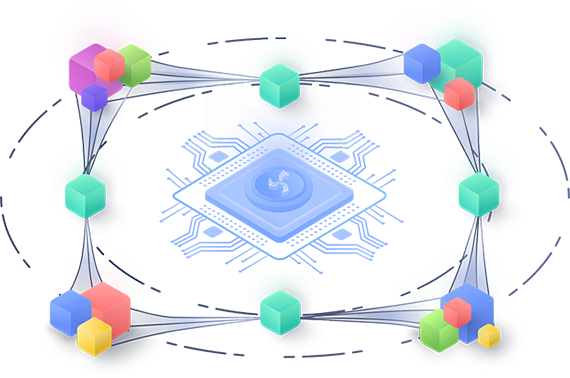 As explained previously, the Skynet Open Network is a high transaction throughput blockchain solution aimed at providing the backbone for secure M2M communication on a global scale. The combination of powerful hardware and the secure communication infrastructure provides the basis for real-world decentralized networks of connected devices. Imagine millions of devices sharing their computing power for deep learning applications. Consider an example of this type of interaction: A group of devices may specialize in data collection participating in a data economy and are rewarded by sharing data. Other devices might put their computing power at the disposal of the network, allowing a third group of devices to use these resources to train AI algorithms on the acquired data. With the Skynet hardware and network combination, all this can be achieved autonomously through M2M interactions in a peer-to-peer manner, without the need for any centralized infrastructure. In this sense, the Skynet Open Network acts as a decentralized alternative to cloud service providers, such as Amazon Web Services (AWS). Providing a cloud computing service on top of Skynet Open Network is one of many possible decentralized use case scenarios. Third parties might implement the necessary cloud computing abstractions as a decentralized platform as a service model. The above examples show that Skynet’s integrated approach will provide alternative solutions at several levels. At the lowest level, Skynet Core’s open licensing model will provide a viable alternative to existing chipsets. Integration with specific blockchain and AI hardware modules will provide additional incentives for the system’s adoption. Skynet’s network layer provides the secure backbone, making a decentralized M2M economy possible. On top of this infrastructure, distributed AI applications backed by decentralized resource sharing will make applications possible that we are only beginning to imagine.